A world of healing is coming to a bend in the Sandy River. It's a tree-lined estate — and soon-to-be escape from hospital beds and the shroud of illness. Once transformed, the oasis might inspire patients with paint and canvas, or serve as a place where families, children and care providers can roam, refreshed by gentle waters, serene gardens and the light filtering through a golden-green canopy. One thing's for sure. 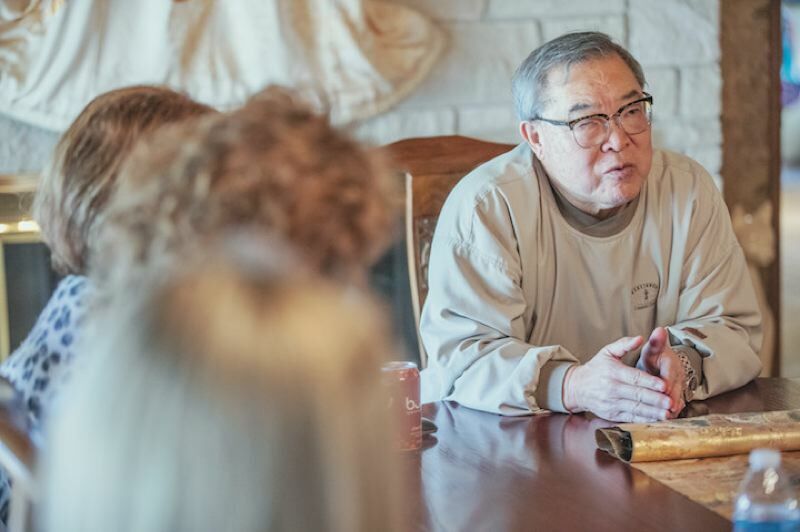 The future users of the East Multnomah County landmark being donated to Randall Children's Hospital at Legacy Emanuel will have one couple to thank for their generosity: Junki and Linda Yoshida. The Yoshidas already have been contributors to the children's hospital through their annual Soulful Giving Blanket Concert series, which was inspired by a desire to go beyond the traditional means of philanthropy. For those concerts, the Yoshidas and a host of volunteers — under Linda's leadership — invite thousands onto their property each summer to support cancer-related charities. "Writing the check is easy," said Junki Yoshida, the Japanese-born businessman who made a fortune with his brand of teriyaki-flavored sauces. Rather than just making a monetary contribution, he said, they decided, "Let's find a way that we can sweat." The final concert will be this summer, now that the ink is dry on the paperwork officially handing over ownership of the stately acreage in Troutdale to the nonprofit Randall Children's Hospital Foundation. The gift is valued at approximately $2 million. Bronwyn Houston, president of Randall's Children Hospital, praises the donation as "transformational." Junki Yoshida knows he's been blessed in life. He and his wife — a popular novelist who writes under the pen name Kaylin McFarren — raised three healthy children at the home just south of the Stark Street bridge in Troutdale, and later built a restaurant, the Riverview, across the street. They added three grandchildren to the brood in later years. The choice to donate the home was an all-family decision, motivated in part by the good fortune they have enjoyed. "I say, 'Thank you, God, for giving me beautiful children,' " Junki Yoshida explained. "And God says, 'Give back.'" Beyond the blanket concerts, which have been held for the past eight years to the benefit of the children's hospital and Providence Cancer Research Center, Yoshida also spent almost two decades on the board for the Oregon Health & Science University Doernbecher Children's Hospital Foundation. During that time, he learned of the Children's Cancer Association's Caring Cabin in Pacific City. He and Linda realized the importance of having such a retreat, and that prompted them to consider their own property donation. Randall Children's Hospital considers the cancer association a vital partner. Houston, the hospital president, said she hopes the new donation will provide a welcomed overlap for the cabin, which often is in high demand. "This could bring a whole new possibility to light, to help our partners," she said. In a meeting at the Yoshida home in late March, Houston noted that the lush surroundings are well suited for establishing a healing garden. It's an especially apt partnership given Legacy's nationally recognized expertise in the field; there are five healing gardens alone at the Randall Children's Hospital and Legacy Emanuel campus, each designed to soothe patients and hospital workers alike. Surveying the 13-acre property, Houston called the home and gardens "a healing environment at its very best." While he maintains a slightly lower profile here in the states, it's no overstatement to say that Yoshida is "big in Japan," too. His rags-to-riches life story (he arrived in Seattle with $500 to his name) is so well-known it's been memorialized in a Japanese-language musical. From his humble beginnings as a karate instructor, he's made inroads into real estate development, apparel, sporting goods, manufacturing and numerous other industries. And while the 69-year-old no longer regularly appears on KGW's cooking segments, Yoshida remains a popular TV and radio personality in Japan. He recently hosted an episode for Tokyo MX TV, appearing in a home-and-garden show with a wacky sense of humor. The Yoshidas' home was built in 1912 as a AAA Clubhouse. In 1924, it was purchased by a Scandinavian culture association and renamed "Viking Park," which featured a baseball diamond and carousel. 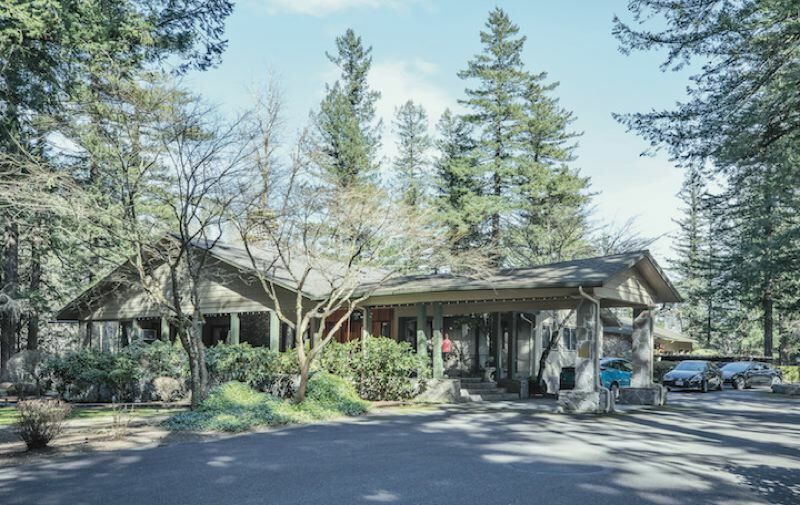 The home reverted to private ownership in the 1960s, and the Yoshida family arrived in 1993. They expect to stay on as caretakers for a while, as the hospital readies the property over the next year or two. They said they're sad to leave, but excited to see what's next. "We'd just like to see it utilized," said Linda Yoshida. "We'd love to see a lot of energy, things happening here. Kids sitting, drawing pictures. There are so many amazing opportunities."